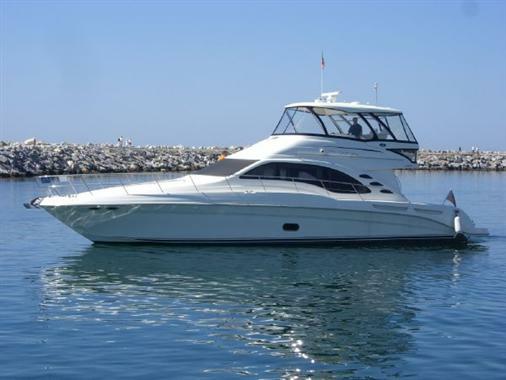 This is a great opportunity to buy a Sea Ray 585 Sedan Bridge with an engine upgrade to twin MAN 900hp in perfect condition, skipper maintained with few hours of usage. 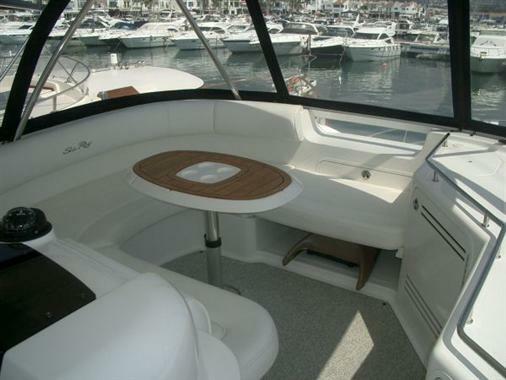 Ideal for a family or as a comfortable cruising or fishing yacht. This yacht has a white hull. Accommodation for 6 in 3 cabins. The full beam double master cabin has an ensuite bathroom. A further double cabin is located at the bow, and a twin cabin to starboard. The main deck is open plan with the galley and dinette forward of the saloon. 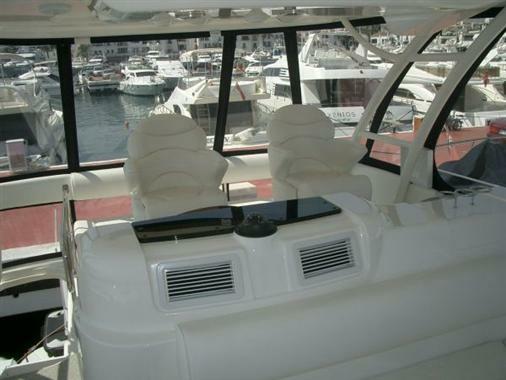 The bridge deck has all the boat controls, plus ample seating. A sunbathing area is provided on the bow, and a large cockpit aft.